Do you love saguaros? We're pretty sure you do, if the social-media reaction to some of our previous posts is any indication. 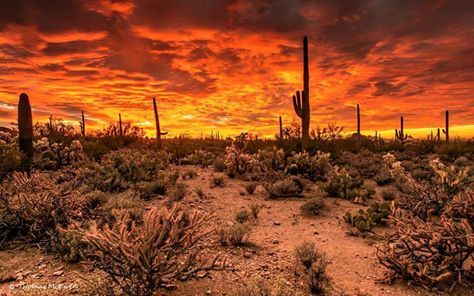 Now, Saguaro National Park near Tucson is partnering with a local theater group to help people connect with the park's iconic cactuses. From this Saturday, April 16, through May 31, the park is hosting "I Stand with Saguaros" in partnership with Borderlands Theater. Participants are invited to stand (or sit) with a park saguaro for an hour or so, then share their experience via social media using the #IStandwithSaguaros hashtag. The idea, the theater group says in a news release, is to connect residents, visitors and youths to saguaros, encourage understanding of local geography and ecology, and foster stewardship and a sense of belonging in the Sonoran Desert. Later this year, the group plans to bring live dance and theater performances to the park. The group says this project is the first in a series of events in a larger project called "Standing with Saguaros," which received National Endowment for the Arts funding. The project also is tied to this year's 100th birthday of the National Park Service. To learn more about the event or sign up to stand with a saguaro, visit www.standingwithsaguaros.org.